Key Chain Mini Calculator is easy-taking. Mini Solar Calculator is easy-taking. 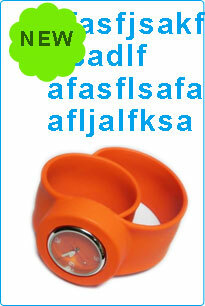 Different colors and logo are availble. Mini Cakculator like a credit card. It can be out into wallet. Mini Maze Pocket Solar Calculator is a calculator with recreation. Different colors are available. Mini Maze Pocket Calculator is a calculator with recreation. Different colors are available. Mini Calculator is easy-taken. It can be put into pocket. Mini Calculator is easy-taking. Logo is available. Mini Calculator is easy to take along. Different colors are available. Pea Shape Mini Calculator can be hung on keyring. Different colors are available. Mini Calculator can be hung on keyring.It’s easy to take along. Different colors are available. This kind of Mini Calculator can be hung on the keyrings. It’s convenient to take along. MP3 Shape Calculator is a mini calculator. It ‘s easy to take along. MP3 Shape Calculator is a mini calculator. It can be put into pocket. Apple Shape Calculator is a fashion design calculator. 1. Palm Calculator can be put into pocket. 2. Different colors are available. Classic style calculator features white buttons, double-size plus key and separate black on button. 3. Functions include basic arithmetic, percentage, and square root calculations. 4. The 8-digit display also features a handy memory function. These promotional calculators are fitted with a carabiner, allowing the user to clip it to belt loop, clothing or backpack, etc. A hinged, colored cover protects the calculator buttons. 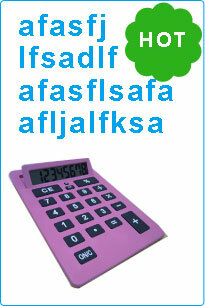 Calculator LCD displays eight digits and a full function keypad includes memory recall functions. Button cell battery (included).